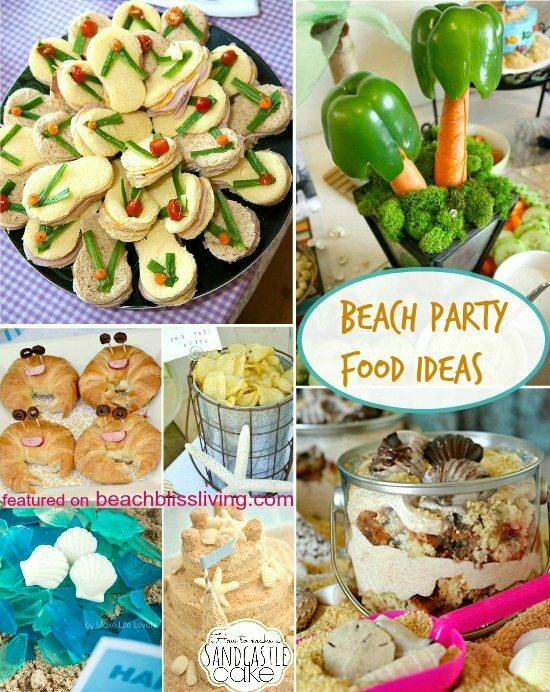 No matter what the occasion, these fun and creative beach party foods will please and amuse everyone who’s beach bound! 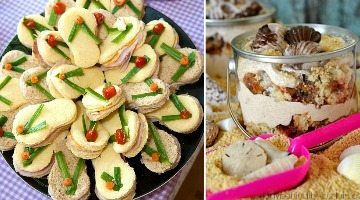 From flip flop sandwiches, to veggi palm trees, to sweet treats. 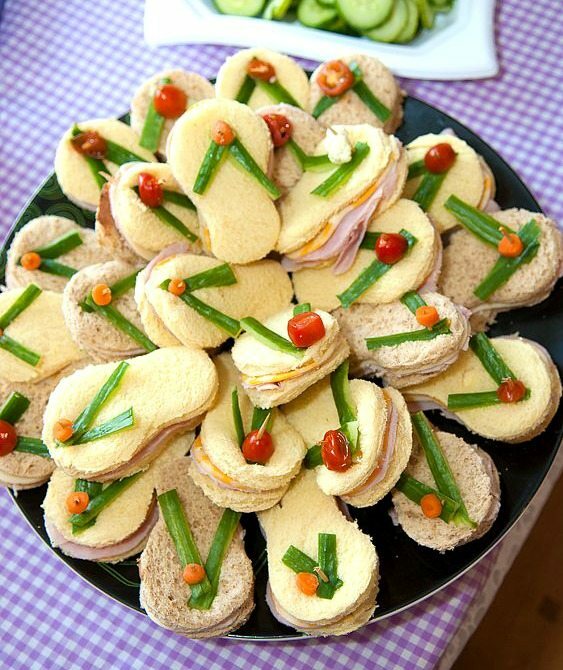 Sandwiches in the Shape of Flip Flops. 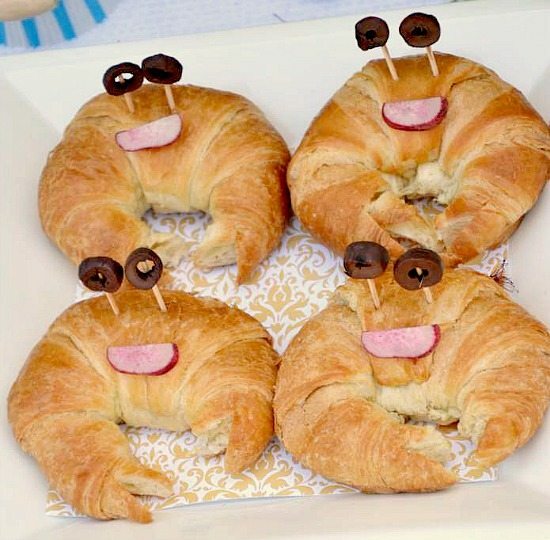 The shapes are cut out with Flip Flop Cookie Cutters, and for the straps, different assorted bell peppers, garnish, and toothpicks were used. 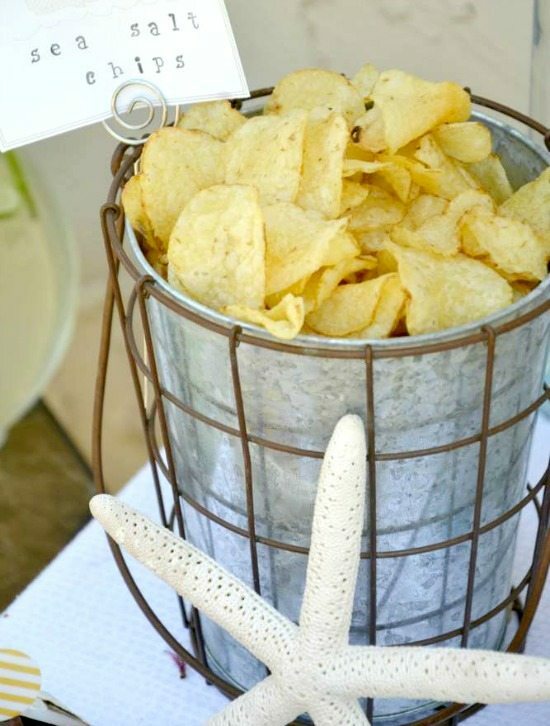 From the same source as above comes a sea salt potato chips idea, served up beach bucket style! 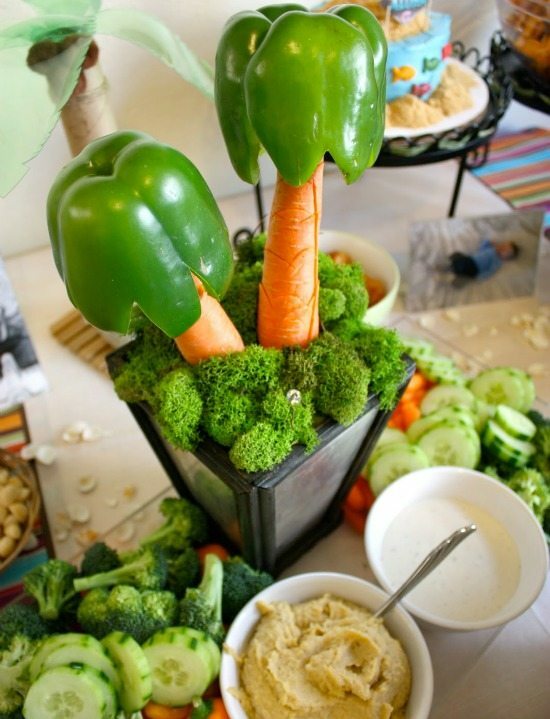 Veggi dip with palm trees made of carrots and green peppers. Via. 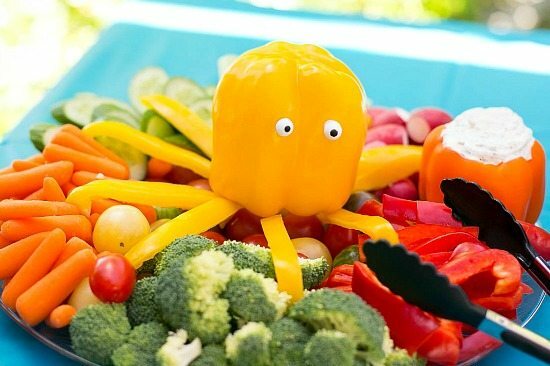 Veggi platter with pepper octopus for an Under the Sea Party. A colorful Edible Arrangement in the shape of a beach ball. 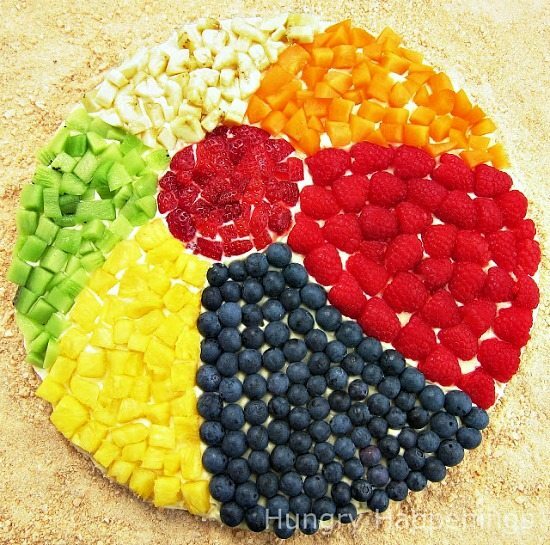 This is a fruit pizza! You can also take this idea and use a tray for a simple arrangement with fruit, or veggis with a bowl of dip placed in the middle. 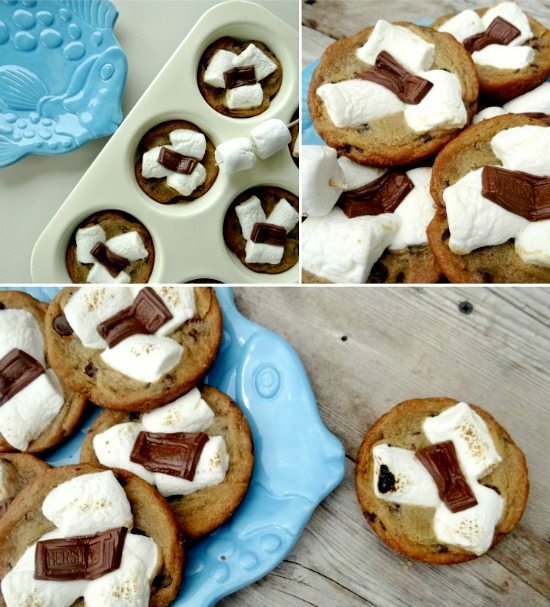 Smores cookies inspired by the classic Beach Bonfire Marshmallow Roast. Via A Quiet Life. 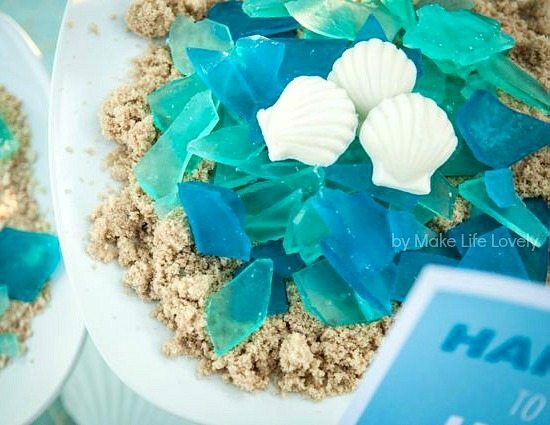 Beach sea glass candy, that looks like it has have been battered around by ocean waves, white Chocolate Shells, and sand made from graham crackers and brown sugar. For the recipes, head over to Make it Lovely. 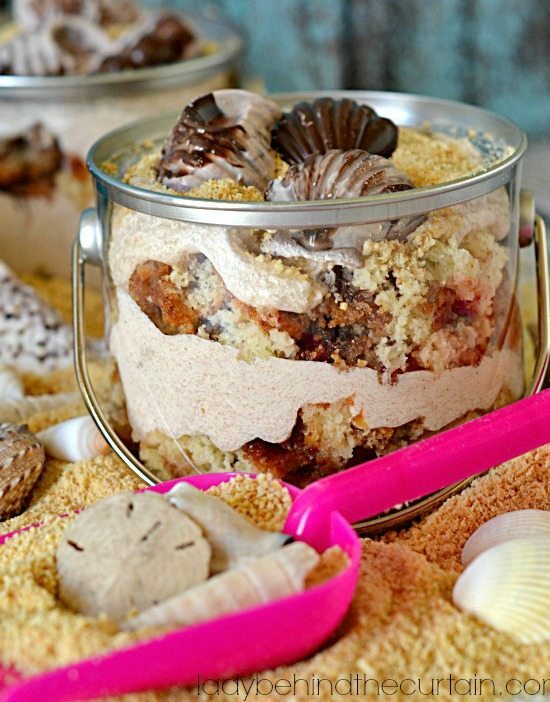 Sand Bucket Cake that’s filled with cinnamon swirl crumb cake and cinnamon frosting. With the optional bonus of chocolate shells. Make individual portions, or make the cake in a large Beach Bucket. And for even more play in the sand, Build a Sand Castle. 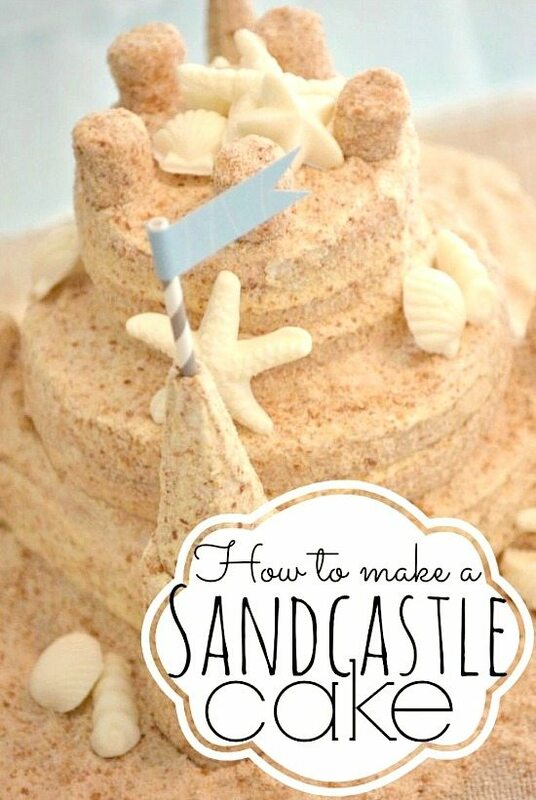 A Sand Castle Cake that is! love your site and can’t wait till to try these!! !